We're proud of what the live saving work we've done over the years by being the connection between a patient and the treatment they need. We've served so many patients and partnered with some great organizations. There's so much about Halo Flight worth sharing but here are some basics to get you started. HALO-Flight’s services are only used at the request of emergency medical services providers or physicians. We have transported Driscoll Children’s Hospital patients for over 25 years. Almost 50% of our missions are responding to emergency scenes. 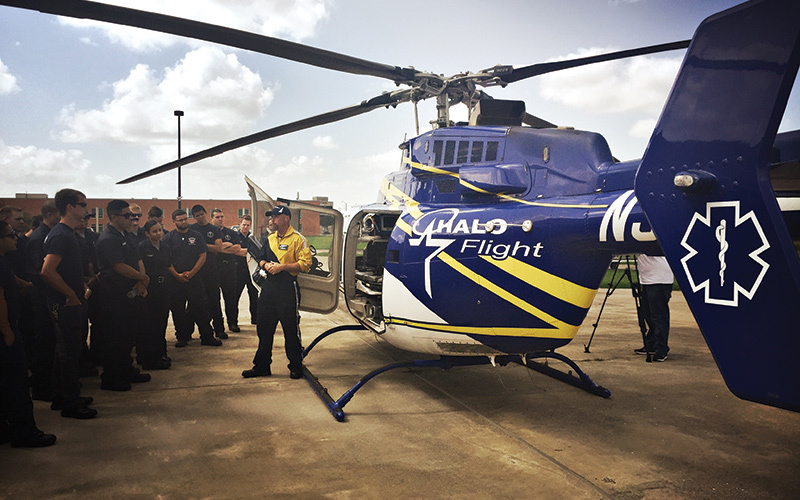 One-third of HALO-Flight’s missions are from rural, community hospitals to definitive care facilities in Corpus Christi, San Antonio or Houston, TX. Roughly 50% of HALO-Flight’s missions are flights where an ambulance is met with a critically ill or injured person that may be as far as 45 minutes from a hospital. Since our establishment in 1987, thousands of patients have been safely transported by ground or air. Other transports include people in need of a variety of critical care such as: cardiac, respiratory, neurological, surgical, burn, environmental, and high risk obstetrics care.